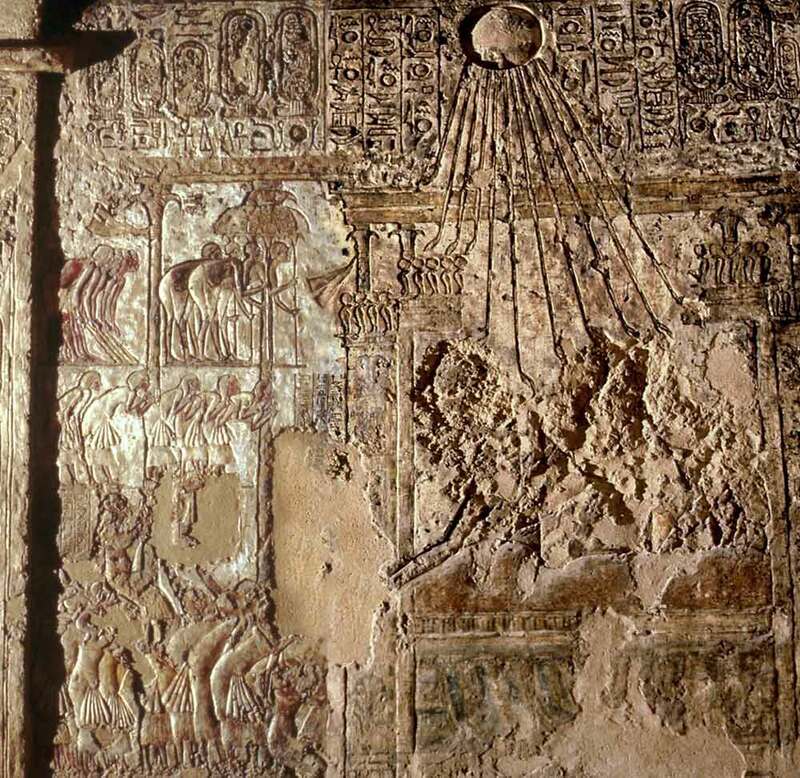 In Ancient Egypt the afterlife and the eternity were concepts very inserted into belief. The funerary art granted food, drink, furniture, religious cult…The mourning rite depicted was also crucial for the dead’s resurrection. The corpse of Huya inside his coffin is standing in front of the funerary offerings. And a very typical funerary scene of the art in Ancient Egypt: the mummy being mourned. In front of him a group of mourners are lamenting the death of Huya. These could be the common mourners, which cried and raised their arms during the funeral. Funeral of Huya, Steward of Queen Tye. Tomb of Huya. after Davies Rock Tombs III, Pl. XXII (Egypt Exploration Society). They appear separated from the rest, so they do not belong to the big group of common mourners. They stand very close to the mummy, and the mourning practices were made next and over the dead. They are four, and in some cases four women were the representatives of Isis, Nephthys, Neith and Selket. As we saw in previous posts, these four goddesses were also involved in the dead’s resurrection. On the other hand, four mourners also appear in some other scenes of mummy resurrection. It seems that Huya received in Amarna an ancient Egyptian mourning ritual as all dead did before the reign of Akhenaten. 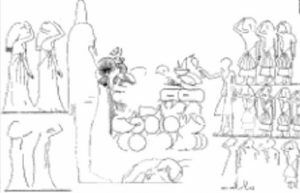 Probably as a legacy of the Theban Period, Queen Tye could not accept a death without a ritual of Osirian roots for granting the eternity to her steward. So, we could think that the Osirian mourning ritual existed, at least occasionally, in Amarna.